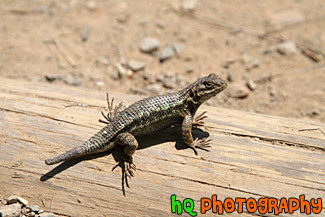 #1585 — A close up scenic picture taken of a brush lizard found in the habitats of Marin County, California. #442 — A scenic picture taken of a Komodo Dragon lizard seen in the Woodland Park Zoo in Seattle, Washington. 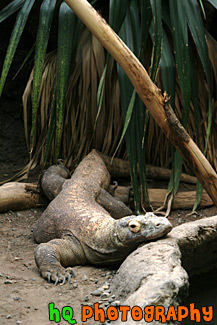 The Komodo Dragon is the world's largest lizard and a powerful, intelligent meat-eater. It is an endangered species and they are living on only a few islands in the South Pacific. It was not called the Komodo dragon until an American adventurer used that name in the 1920's. The Komodo Dragon is an interesting animal that has razor-sharp teeth and poisonous saliva and eats up to 80% of its own body weight in a single meal. The primary prey for adult dragons is the Sunda deer, but they also eat birds, snakes, fish, crabs, snails, small mammals, pigs, water buffalo, eggs, wild horses and younger Komodos. 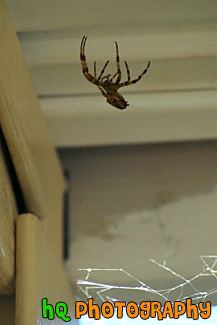 #1447 — A vertical picture taken of a big brown striped spider located right outside the front door of a home. 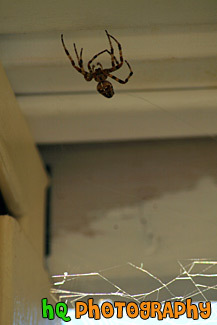 #2124 — A scenic vertical picture taken of a black and brown spider sitting in the center of its' web. 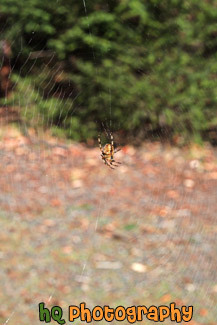 The spider legs are sprawled out. 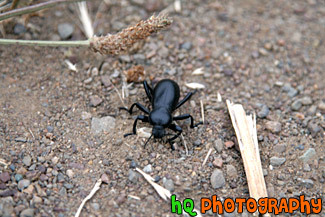 #1699 — A scenic picture taken looking down at a black beetle crawling on the dirt ground. 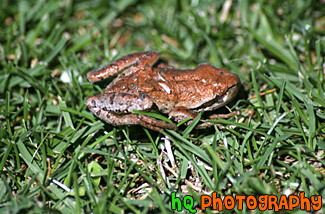 #1310 — A close up picture taken of a brown frog sitting in green grass. 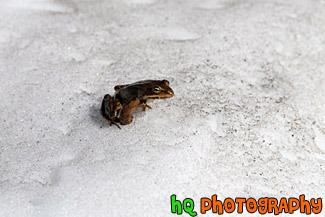 #1948 — A scenic picture taken of a brown frog sitting in snow locatd up in the mountains. 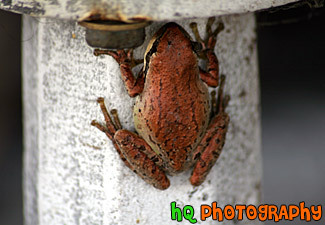 #1115 — A super close up picture taken of a brown frog who is resting on a statue type thing. #1324 — A close up vertical picture taken of a brown striped spider with long legs with its' web seen towards the bottom of the photo. 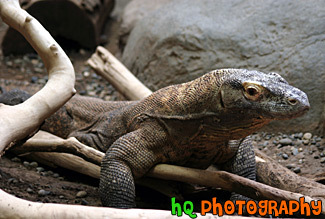 #730 — A close up picture taken of the Komodo Dragon lizard located at the Woodland Park Zoo in Seattle, Washington. The Komodo Dragon is an interesting animal that has razor-sharp teeth and poisonous saliva and eats up to 80% of its own body weight in a single meal. The primary prey for adult dragons is the Sunda deer, but they also eat birds, snakes, fish, crabs, snails, small mammals, pigs, water buffalo, eggs, wild horses and younger Komodos. Komodo dragons are also scavengers, and will eat almost any type of carrion. The Komodo Dragon is the world's largest lizard and a powerful, intelligent meat-eater. It is an endagered species and are living on only a few islands in the South Pacific. 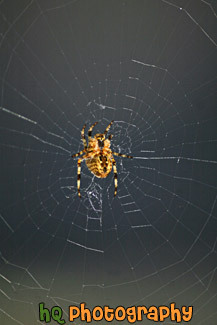 #2121 — A close up picture taken of a brown, black, and orange spider hanging it its' web with its' legs sprawled out.